"New York City" dayA few former employees are learning that it&apos;s a bad idea to poke a Tiger cub. 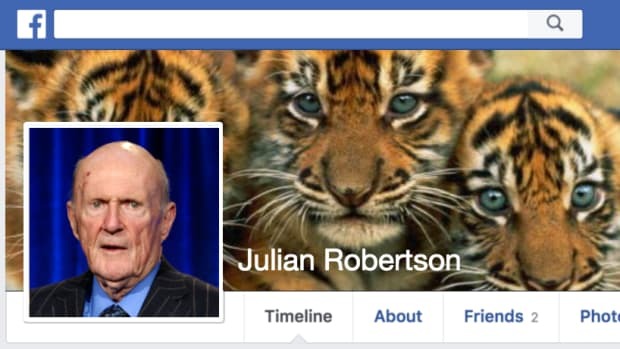 That applies ten-fold to the leader of the pack, the inimitable Julian Robertson. The Tiger Management founder had a tough 2000. The then-68-year-old shuttered his legendary hedge fund because he didn&apos;t understand those newfangled gadgets that everyone on the Street was going so crazy for. Then, the New York State Dept. of Taxation and Finance slapped him with a huge freakin&apos; tax bill, saying he&apos;d spent more than half of the year living in the Big Apple. Not so, J-Rob countered: He only spent exactly 183 days in the city that year. And he launched an all-out war to prove it. Robertson and his staff spent a ridiculously extraordinary amount of time trying to account for the big guy&apos;s every step nine years ago. In the end, it came down to just four days, including, ironically, tax day, April 15. Thanks to the reams and reams of evidence presented by Team Robertson, we now know some of Mr. Robertson&apos;s pet peeves, as well as at least one of Mrs. Robertson&apos;s (hint: it&apos;s him). For one, the billionaire has no idea how to use voice mail. He hates LaGuardia Airport (who doesn&apos;t), and his assistant hates him. But it was all worth it: The Division of Tax Appeals ruled in favor of the Big R, taking 77 pages to do so, but keeping almost $27 million in his pocket. So those "meticulous efforts," under which "any day the petitioner was physically present in New York City, even for five minutes, was a &apos;New York City&apos; day unless he was in transit between two points outside New York City," gave one crochety old man a very satisfying victory. The majority of Tiger Cubs are still in it to win it.